Last fall, you might have noticed a small painting party underway in the parking lot on 4th Street North which Great Explorations shares with Sunken Gardens. Great Explorations’ staff, board members, and even some of the children from the museum’s after-school program joined in the fun to assemble and paint a playhouse under the guidance of the local Habitat team. Kids add a creative touch to the playhouse. 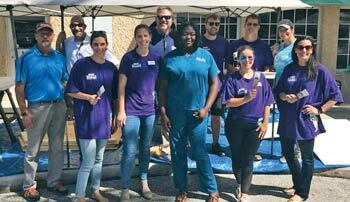 Alison Riley, vice president of corporate partnerships and marketing for Habitat for Humanity of Pinellas County, agreed that the build was seamless. “It was such a great experience to watch a team of people smiling and laughing together as they created something for children that will likely change their world.” She notes Habitat’s program traditionally focuses on homeownership for the parents and not generally on the children. “The Playhouse Program gives us the chance to provide children a playful retreat that they get to call their own, while helping to support our overall mission of affordable housing,” says Riley. The team poses for a photo. 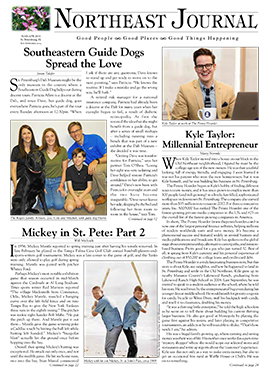 According to Riley, the playhouse program is designed to be a corporate team-building opportunity. 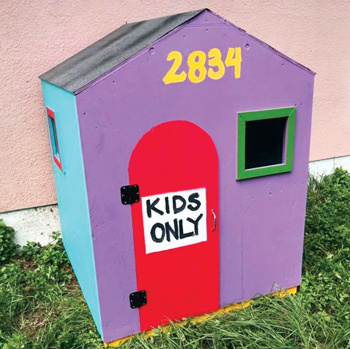 The Habitat of Pinellas website notes that teams contribute a tax-deductible donation of $2,500 per playhouse to cover the cost of materials and support our work in the community. 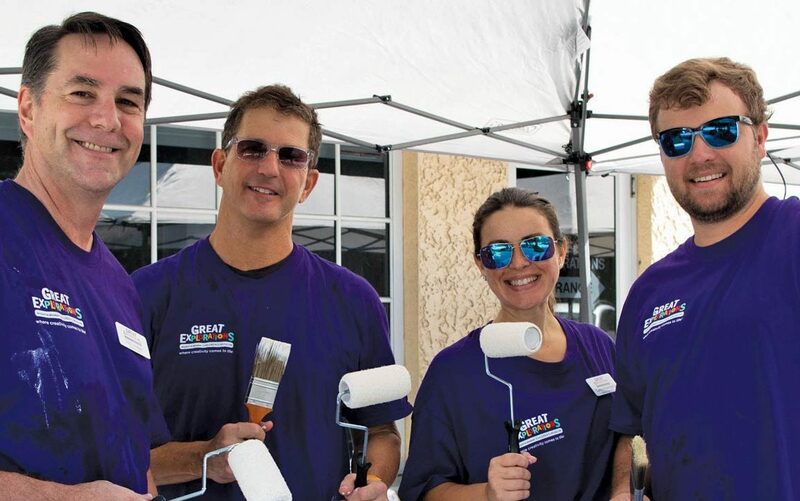 Habitat Pinellas provides all the materials, tools, training, and supervision needed for a great experience. 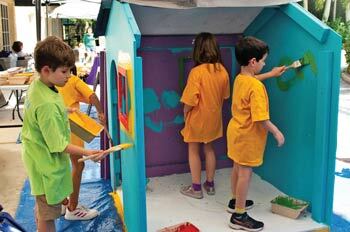 Paint transforms a children’s playhouse. It’s the ideal corporate community involvement. Instead of companies having to commit to a long-term project, the playhouse is tailored to be completed in about a half a day. The playhouse pieces are pre-cut, ready-to-prime/paint/assemble, and delivered to the sponsor organization site. Four hours later, with the guidance of Habitat’s talented team, a playhouse is constructed. 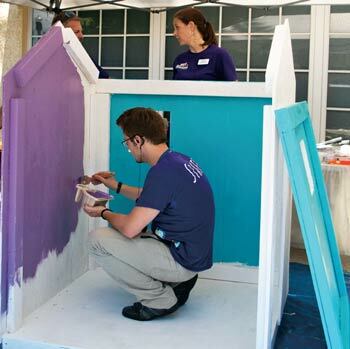 While each of the playhouses is designed similarly in layout, paint colors selected by the participating organization help make each one more unique and personal. Our city is fortunate to have these two wonderful organizations working side-by-side to help nurture our children and guide them to a brighter future.